Many biographies of Jacob Broom report his father to have been James Broom married to Esther Willis, but do not mention earlier ancestors. Several unsourced internet sites and LDS records show James’ father to be Daniel Broom, but I am doubtful that this is correct. The following reconstructs what is known of Thomas and the period 1710 to 1750 from documents and records. In my opinion, there is sufficient evidence to show that Thomas Broom, married to Elizabeth Hannum, was the father of James and grandfather of Jacob Broom. Who his ancestors were is the subject of ongoing research. Thomas Broom is the first Broom ancestor who we can definitely trace in America. 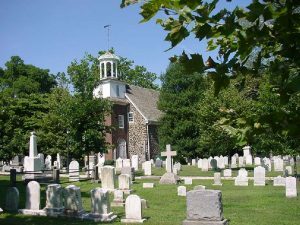 The earliest record found so far for Thomas himself is of Thomas’ marriage to Elizabeth Hannum in 1711 at St. Paul’s Church, Chester Co., PA. 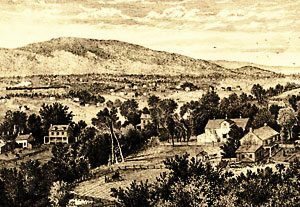 There is no proof that Thomas was ever a Quaker, although his in laws and many of the neighbors in Concord were originally Friends when they immigrated to Pennsylvania. However, in the 1690’s a number broke off to follow George Keith. 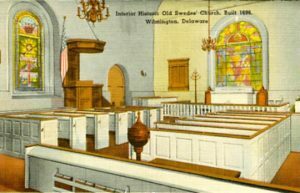 These “Keithians” separated from the Yearly Meeting to form a new group styling themselves “Christian Quakers.” This was the first rift in the history of the Society of Friends. 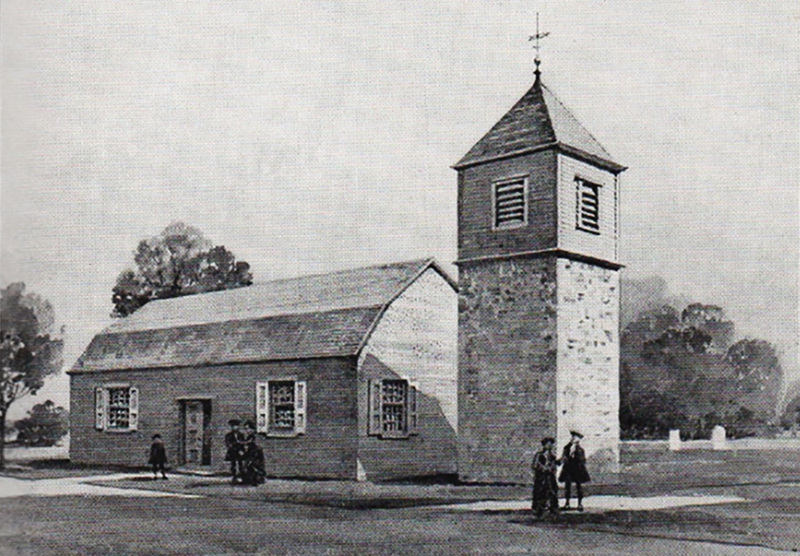 George Keith was disowned by the Friends in 1695 and then was ordained as a Priest of the Episcopal Church in 1700. John Hannum was very involved in setting up St. Paul’s in 1702, and it is quite likely that Thomas met Elizabeth after she and her family had converted to the Episcopalian faith. Thomas is listed as a taxpayer in 1715 in Darby and also in Concord, PA together with John Hannum, his father in law. John Hannum was one of the earliest settlers of Chester Co., arriving in the mid 1680’s. In 1717, a Thomas Broom is admitted as a Freeman to the city of Philadelphia. This is almost certainly “our” Thomas Broom, as there are no other Thomases of the same spelling in the area at that time. There is a Thomas Broome of another family, who married Elizabeth Coley, to add to the confusion. However, this Thomas consistently used the “e”. Our branch signed their own name without the “e” on all records we have. Now and then, there are mistakes in transcriptions, particularly in census records, but generally, the spelling is a good clue as to which family it is. 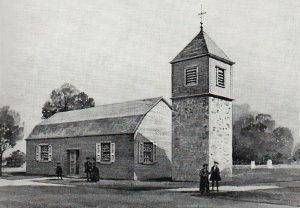 Thomas and Elizabeth were active in the church community and from about 1720 to 1727, Thomas is listed as a Church Warden at St. Paul’s Episcopal Church, together with John Hannum. Shortly after, in 1729, Thomas is listed as a trustee for the Old Swedes Church in Wilmington, about 15 miles from Concord. 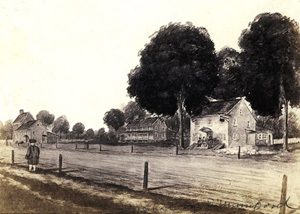 It is not entirely certain that he had permanently moved to Wilmington at the time, as there were other trustees from the Chester area, but by 1735/6, he is named on petitions concerning the incorporation of Wilmington and the organization of the market there. By this time, it would seem that he was a property owner in Wilmington and permanent resident. His brother in law, Robert Hannum, also seems to have moved to Wilmington about 1738. Both are referred to as merchants and tavern keepers. In 1741, Thomas advertises a property on Market Street in Wilmington to rent, and in 1745, there is a record of him assigning a servant girl to someone else. In 1730, John Hannum died, naming Thomas as one of his executors and leaving £10 to daughter “Elizabeth wife of Thomas Broom”. Elizabeth’s mother’s will, written in 1737 and proved in 1742, mentions “Elizabeth Broom”, leaving her a gold ring. She also leaves £5 to granddaughter Mary Broom. Various other grandchildren are named, but only one grandchild per child is mentioned, generally the oldest. This fits with what is known of Thomas & Elizabeth’s children. 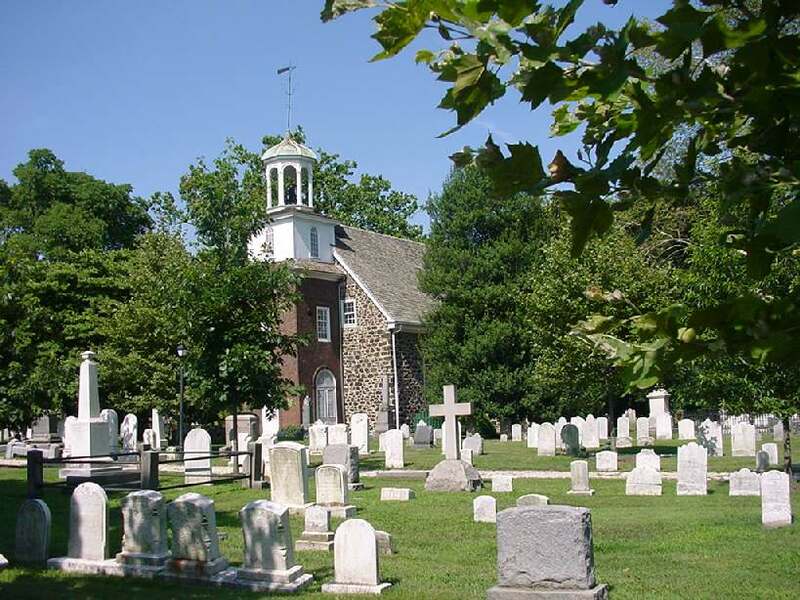 There are only two frequently quoted birth records for the children of Thomas and Elizabeth, although it is clear from Quaker records of the Philadelphia Monthly Meeting listing burials of “persons not Friends” and from the settlement of Thomas’ estate that the Brooms had many more children. The two birth records are for a John in 1713 and Mary in 1714. The burial records include Thomas, Margrett and John between 1716 and 1730. John’s death would make Mary the oldest grandchild at the time Margery Southery Hannum made her will. Sarah died in 1732, and her tombstone is preserved in the foundation of a later Hannum residence. Thomas and his wife Elizabeth Hannum both died in the Fall or early Winter of 1749 according for bills found with their estate documents. It would appear that his daughter Elizabeth also died around the same time, perhaps a few weeks later. The estate settlement divides the property of all three of them among the surviving children and grandchildren. The settlement of Thomas’ estate names James in the position that probably indicates the eldest child, and also John (the second one), who is probably a minor at the time (1752), as his share is left in James’ care. This also fits with the death record of John I in 1730 and the birth record of John’s daughter in 1766. The elder John would have been 53 at the time. Son James is executor. Further, Robert Broom and three sons in law are mentioned, who were married to daughters Ann, Hannah and Mary. This gives a total of 11 children, of whom 7 lived to adulthood and 6 had children of their own. Some references show a William as a son, but I tend to think this is a collateral line, since no William is mentioned in any record relating to Thomas, including the settlement of his estate, and the name does not show up in later generations of the known descendants, unlike the names of other aunts and uncles.